The end of the Cadillac CT6 sometime in 2019 means collision repairers who joined the GM certified repair network for the advanced aluminum-and-steel vehicle will have had just three years to reap benefits like GM restricting parts and measurements and referring customers to them through OnStar. The network began to take shape in 2015 ahead of the CT6’s debut for the 2016 model year. It reflected that the new, complex body design required special equipment and procedures. 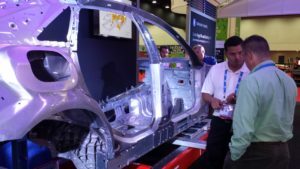 The car was 64 percent aluminum, and its parts were largely replace-only, Cadillac said at NACE 2015. Joining methods described then included items like adhesive, flow-driill screws, rivets and barely any welding. 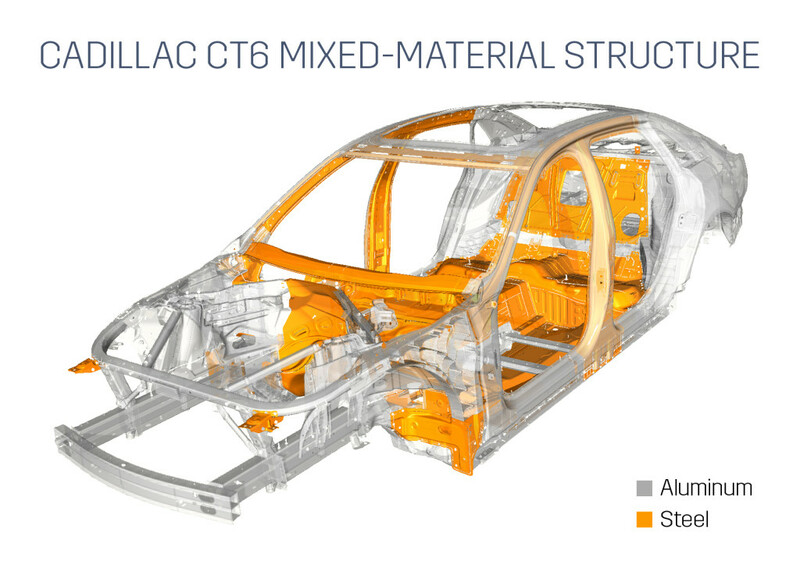 The CT6 was among “the industry’s most advanced body structures – an aluminum-intensive architecture incorporates 11 materials,” Cadillac boasted to consumers while discussing the 2017 model. It also was the first vehicle to receive the hands-free, partially autonomous Super Cruise system, which GM will expand to all Cadillacs in 2020 and to other GM vehicles after that. The first CT6s appear to have been delivered to U.S. dealers in March 2016. Cadillac does have a 2019 model year for the CT6, whose lineup includes V-Sport and regular editions. CEO Mary Barra didn’t say when in 2019 GM would specifically pull the plug on the sedan, but she confirmed Monday it and and five other GM vehicles would be deallocated from five North American plants by the end of next year. The Chevrolet Cruze, Impala and Volt; Buick LaCrosse; and the Cadillac XTS will also no longer be produced for the U.S. market, according to Barra. The CT6 has sold 7,270 vehicles to date this year through the end of September, down from 8,128. GM said Tuesday it was examining the future of the CT6 network. As of August, GM had 87 certified CT6 shops. The 2019 CT6 starts at $46,995 and reaches $60,195 for the Premium Luxury edition, and the V-Sport starts at $61,695 and can climb to at least $71,795 for its Premium Luxury model, according to Cadillac’s website. Ironically, then-Cadillac President Johan de Nysschen on Friday adamantly denied to Jalopnik Reuters’ report that the CT6 could be cut after 2020, saying that the company planned to provide even more funding and clout to the aluminum and steel sedan. Cadillac at the time referred us to the Jalopnik article when asked for comment.